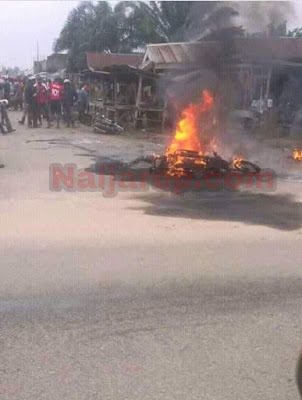 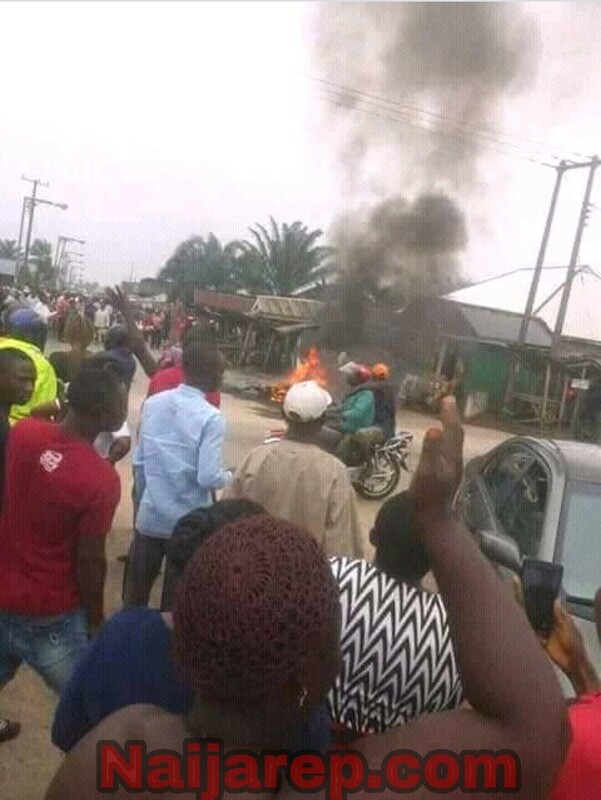 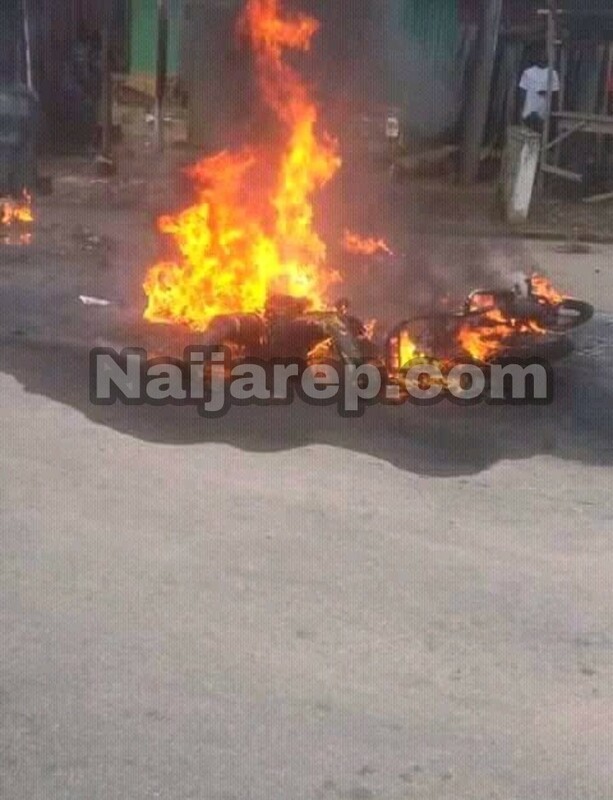 As shared by a facebook user, Ayodele segun who happend to be at the scene of the incident told our correspondent that The Incident Happened In Oghara Delta State. 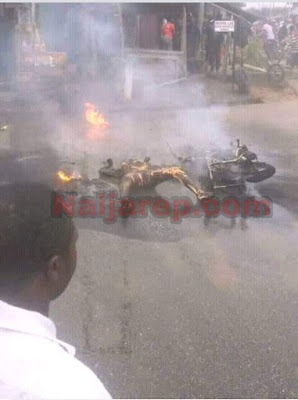 Fuel popularly known as petrol Was Accidentally Hit By a Lexus Jeep, The Fuel Exploded And She was Burnt To Ashes, while onlookers were staring and others were taking pictures and videos of the (scene) burning lady, not even a single being moved a motion to save the victim. 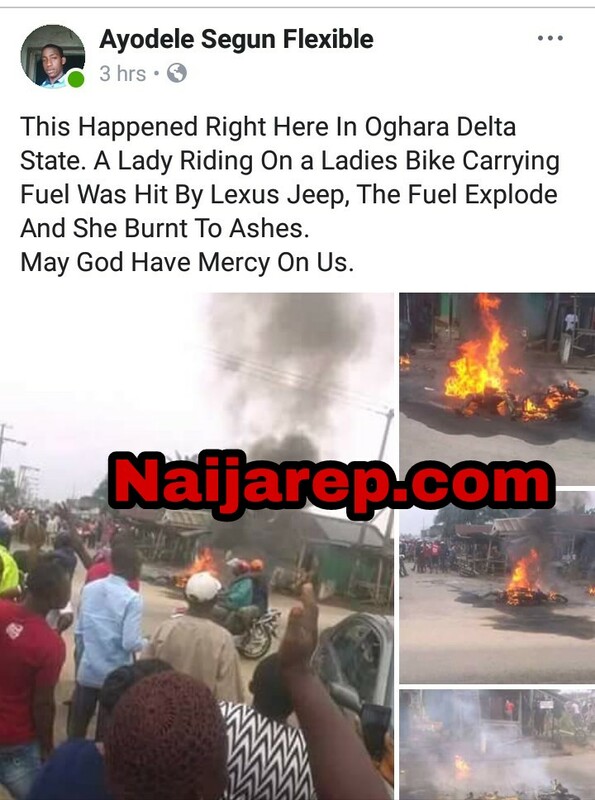 0 Response to "See Burnt To Ashes Pictures of a Lady Carrying Fuel who Was Reportedly Hit By a Lexus Jeep"